Nord Stream 2 AG has obtained the permit to construct and operate its planned pipeline system in the Swedish Exclusive Economic Zone (EEZ). "Sweden approves Nord Stream 2 route"
The 1230 km pipeline system will transport natural gas from Russia to the European Union. The permit was granted by the government, represented by the Ministry of Enterprise and Innovation, which is in charge of the application. The permit covers an approximately 510 km route section in the Swedish EEZ. “This is an important milestone for the Nord Stream 2 project. We are pleased to have obtained the Swedish government’s approval to construct and operate the Nord Stream 2 Pipeline,” said Lars O Grönstedt, Senior Advisor at Nord Stream 2. “We are now looking forward to continuing the productive cooperation and open dialogue with the Swedish authorities during the up-coming construction phase,” said Nicklas Andersson, Permitting Manager Sweden at Nord Stream 2. 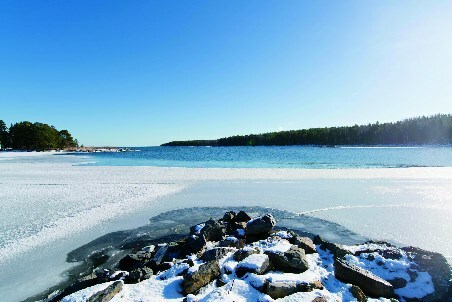 Preparatory seabed intervention works, such as pre-lay rock berms and concrete mattresses for cable crossings, will start at specific sections along the Swedish route in the coming months, while pipe laying in the Swedish EEZ is scheduled to start later this year. Nord Stream 2 AG has already obtained the permits required for the construction and operation of the pipeline system in Germany and Finland. The national permitting procedures in the two remaining countries along the route – Russia and Denmark – are proceeding as planned.